The Internet of Things (IoT) revolution promises to change the way we live, and there are several Indian-made products that could contribute to it. While India may not have that many successful products in the software space, it is making IoT devices that are comparable to any in the world. Its large talent pool of mobile app developers is helping create interfaces between products and users. It helps that companies such as Intel, Cisco, Broadcom and MediaTek are making open-source hardware that companies can use to launch IoT prototypes. Crowdfunding platforms such as Kickstarter and Indiegogo are also useful for start-ups. We looked at a number of IoT products being made in India and picked some of the best. You no longer need a personal trainer to guide you through your exercise routine in the gym and prescribe a diet. A pair of gloves can do it for you. Oxstren is the world’s first smart gym glove, according to Pratik Saraogi, the founder and chief executive officer of Oxstren Wearable Technologies. Unlike typical fitness bands that measure steps (walking or running) or the more advanced smartwatches that also measure heart-rate, Oxstren is purpose built for gym workouts. These gloves measure hand movement, heart-rate, respiration rate and hydration rate. The in-built sensors allow them to detect the specific workout you are doing. So, if you are doing a front dumb-bell raise, it will measure the repetitions performed, providing real-time feedback on your balance, breathing pattern and stress levels. Users receive interactive haptic feedback (vibrations) through the gloves during the workout and detailed analysis about each workout via the connected mobile app. A pair of Oxstren gloves is priced at 15,000 and will be available for preorder soon on www.oxstren.com. Shipping is expected to begin in December. 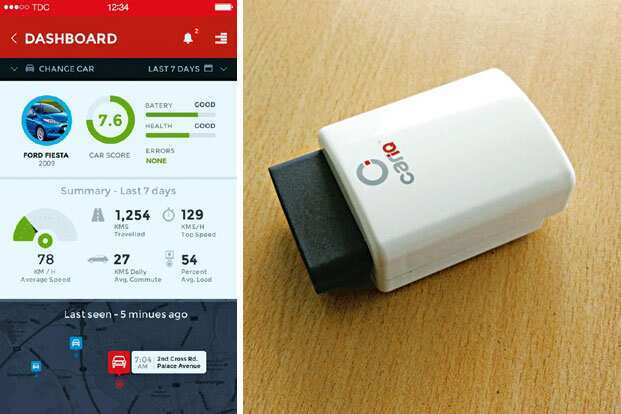 The CarIQ device connects to the car’s on-board diagnostics (OBD) port, which is typically located near the dashboard below the steering wheel. The OBD system reads data from the engine control unit. All cars manufactured after 2008 have an OBD port. Once connected, CarIQ records and stores information such as engine speed, engine temperature, revolutions per minute, coolant temperature and battery status. After analysing data collected over a few days, it recommends things you can do to improve your car’s performance, such as the optimal gearing you need for your tyres and when you should change your car’s battery. Some modern cars warn you when they are facing problems, but CarIQ sends much more detailed alerts, received on the free CarIQ app. So you will not only see a flashing red light indicating engine trouble but a report telling you the engine trouble is due to one of the spark plugs not functioning. CarIQ also tells you how severe the problem is. You can set up maintenance alerts and receive reminders when a service is due. If you are sharing your car with another driver, you can set a geofence alert, which will let you know if your car goes outside a specific area, or a speeding alert. Sagar Apte, the co-founder and chief-executive officer of Car IQ, is passionate about road trips and driving. Around three years ago, he realized he always had to take his car to a mechanic when it broke down and would spend money on repairs he was not sure were necessary. So he rolled up his sleeves, started working on a solution and developed a prototype of what would become CarIQ. Apte now runs the company full-time out of Pune with co-founder Deepak Thomas, and the first six production runs of CarIQ have been sold. A CarIQ device costs ₹ 6,000 and will be on sale from 6 July at Mycariq.com. So he founded ReTiSense, the company which produces Stridalyzer, an Internet-connected insole that fits inside your running shoes and monitors your run, analysing ground contact time, stride length and stride rate, among other things. If it senses that either one of your feet is under too much stress, it instantly sends an alert, such as “left leg over striding" or “right foot over pronating". You receive these alerts via onscreen messages and audio prompts on a connected smartphone app. After the run is completed, you can use the mobile app to review your run and receive guidance on how to prevent injuries and improve form. For a fee, runners can also sign up for the Expert Connect service to receive personal advice from a panel of doctors, coaches and runners; there is free access to published works of reputed experts. Stridalyzer, currently available in the US, can be preordered at www.retisense.com. 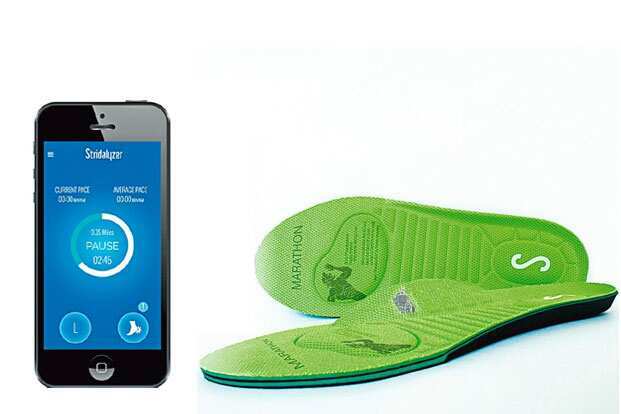 A pair of insoles costs $99 (around ₹ 6,300). It is expected to be launched in India in August. Touchkin offers an elegant way to keep tabs on the elderly. 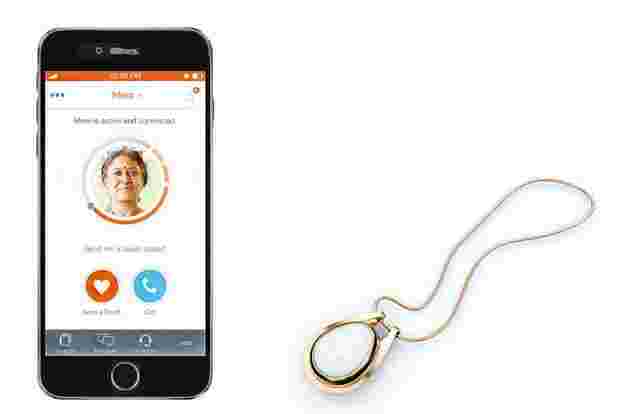 The service consists of three parts: the Touchstone, a hypoallergenic, waterproof, Internet-connected pendant that can be worn around the neck; a connected app; and medical services. The Bengaluru-based husband and wife duo Jo Aggarwal and Ramakant Vempati, the inventors of Touchkin, say their vision is to enable a personalized, socially connected wellness platform for the over 100 million people above the age of 60 who live in India. The Touchstone pendant is designed to look stylish but is also a tactile communication device that allows the elderly to use simple gestures to communicate with their kin. The pendant glows when new messages are received or as a reminder to take your medication. One of the most important features of the pendant is its panic button. It is also smart enough to detect falls. When a fall is detected or the panic button is pressed, the emergency response system is activated. The person’s family will be notified of the emergency, and the person will be able to tell the device to call an ambulance. The free mobile app that is part of Touchkin provides the senior citizen’s family with updates on how physically active he or she is. It does so by using data from the Touchstone, which tracks the frequency and intensity of its wearer’s movement. The app can also keep track of the frequency of social interactions in the elderly person’s life. Touchkin is currently partnered with healthcare providers Prana Healthcare Enablers Pvt. Ltd and Goodhands seniorcare to provide services such as doctors’ visits and nursing support. The service is currently at the trial stage. Future versions of the product will have the ability to track chronic diseases such as diabetes, hypertension and cardiac issues. Aggarwal and Vempati are also planning to make smart pill boxes that track the intake of prescription medication. Touckin is expected to be launched in December. The basic device will cost $100 (around ₹ 6,400) with extra cost for additional services.